The Apple of China Xiaomi planning to launch its mid-range octa-core smartphone, Xiaomi Mi4i in Indian market This April in India. According to Chines website, Xiaomi Mi4i featuring 64-Bit Octa-core SoC, 5”-inch Full HD display, 13-MP +5-MP Camera will launch in Indian market on 23rd April Event in New Delhi priced at Approx. Rs 15,000 (1599 YUAN). It will take on HTC Desire 626G+(Rs 16,990) and Lenovo P70(Rs 15,999). 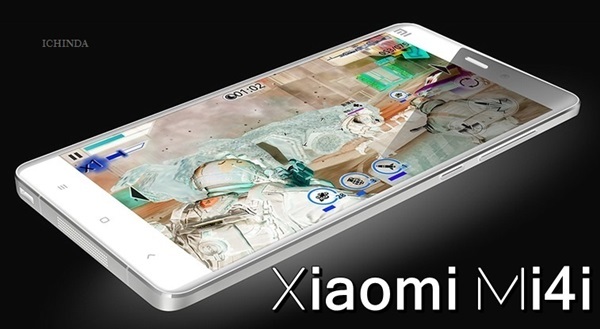 According to leaked specifications, upcoming Xiaomi Mi4i will support Dual-SIM with Dual-Mode(GSM+WCDMA), 4G LTE, 3G, NFC, Wi-Fi, Bluetooth, USB and GPS offers you a 5”-inch full-HD LCD display with resolution (1080×1920 pixels) will run on most advance Android Lollipop OS dubbed MIUI version 6 powered by a 64-Bit 1.6GHz Octa-core Qualcomm Snapdragon 615 processor with 2GB RAM, 16GB internal memory expandable up to 64GB via MicroSD card. Xiaomi Mi4i will sport a huge 13-MP rear camera with dual-LED flash with Sony CMOS Sensor and 5-MP front facing camera expected to be packed with a powerful 3000mAh Li-ion battery with battery stamina Mode including innovative features like heart rate monitor and fingerprint sensor. Xiaomi Mi4i Price in India Approx. Rs 15,000 (1599 YUAN). At last few honest word to say that the all new Xiaomi Mi4i is coming to rule the mid-range smartphone market in India. What you think? Please stay tuned for more updates.